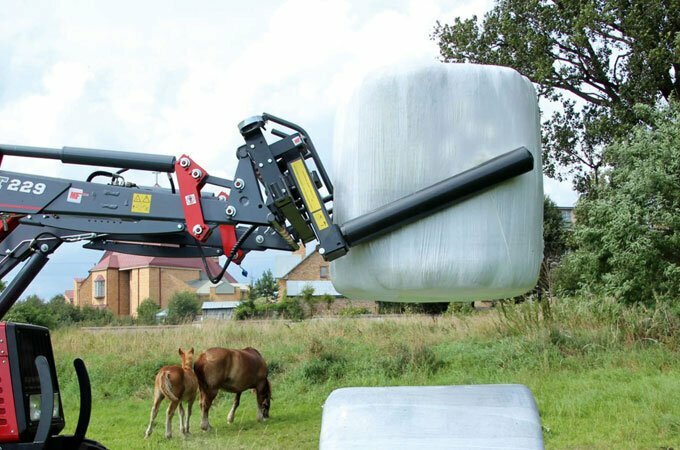 The multifunctional bale grab is a Euro hitch front end loader attachment designed for the lifting, handling and loading of horizontal and vertical bales. Clamp or grip them with the forks, or pierce them with spikes and load/unload silage bales into trailers. 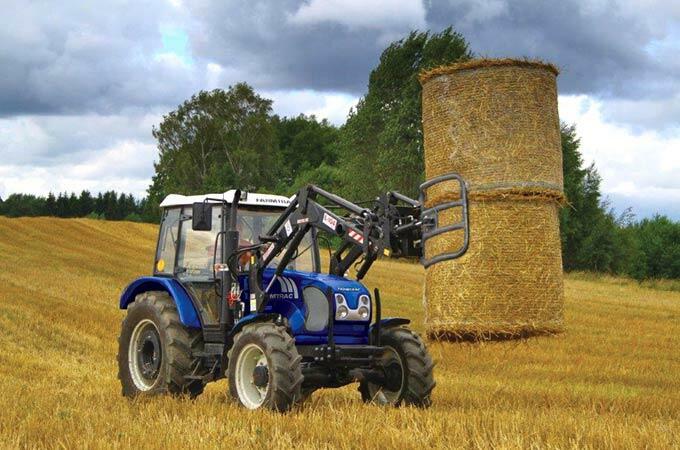 It can lift up to three bales at once and can move wrapped bales without damage. The fork guards can easily be removed to suit different tasks. 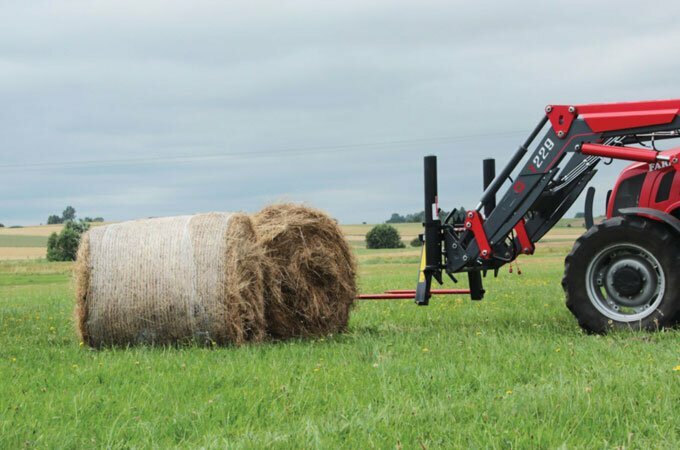 Manufactured in Europe, this heavy duty implement is great if you’re working with different types of bales and need a versatile gripper. 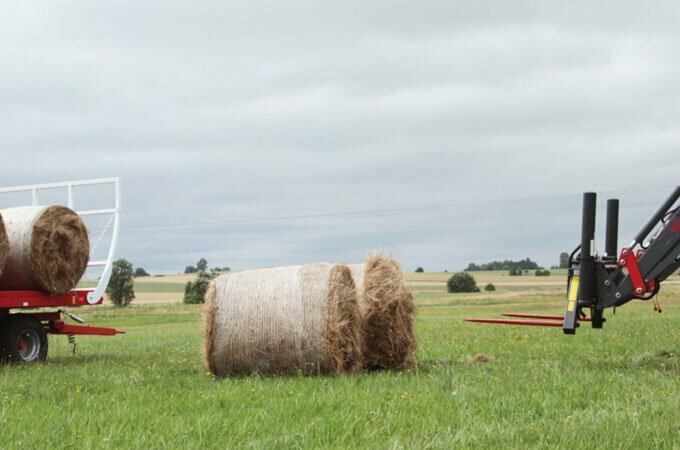 Lifting wrapped bales using the forks. 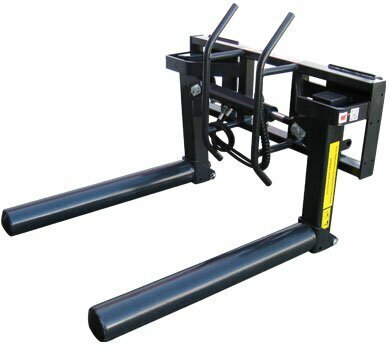 The Euro hitch multifunctional bale grab is available for all Farmtrac DT series front end loaders and other tractors loaders with a Euro hitch. 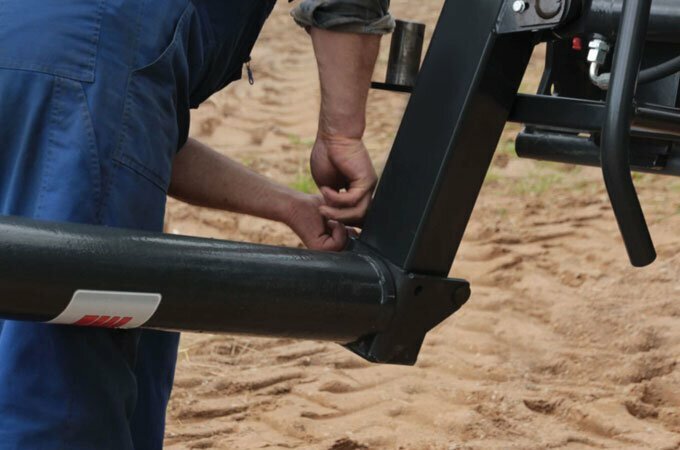 It has a two year manufacturer’s warranty and is fully supported by SOTA Tractors. Load and unload silage bales onto trailers. Pierce bales with the spikes. Remove the fork guards and swap with spikes. 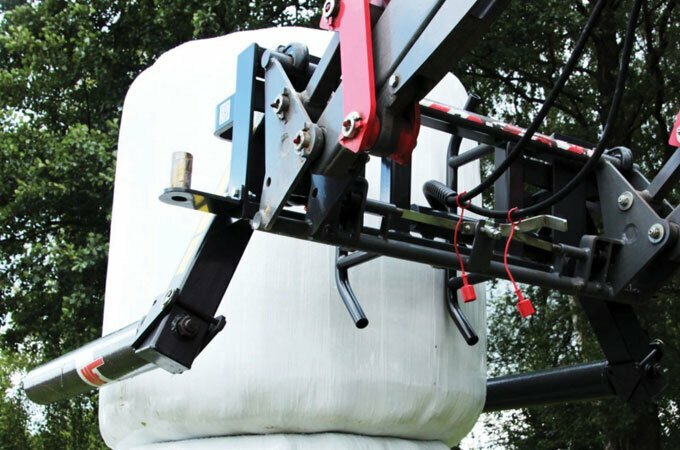 Transport wrapped bales without damaging them. 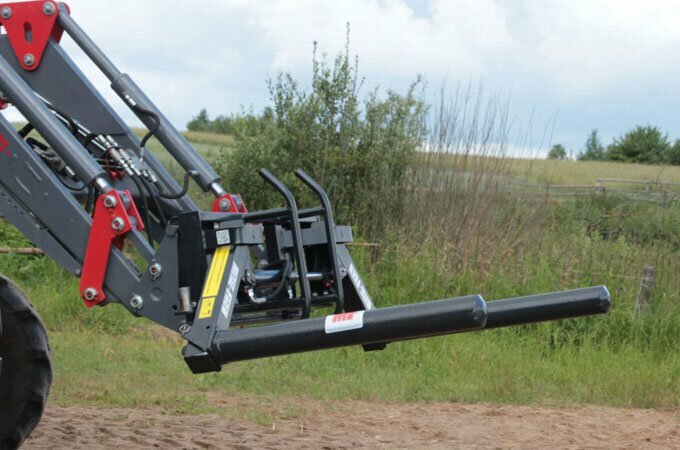 MFMFG800 Euro hitch multifunctional bale grab.